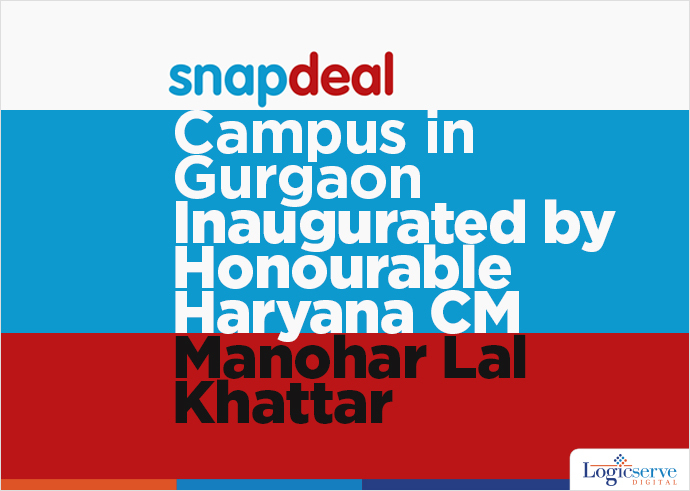 Haryana Chief Minister Manohar Lal Khattar inaugurated the Gurgaon Campus of Snapdeal, one of the largest e-commerce marketplaces across the country. According to Mr. Khattar, with this move, Gurgaon is expected to become the nodal centre for Snapdeal’s business operations encouraging wider employment opportunities and better development across the state. Also, he feels very confident that in near the future Gurgaon will become an important e-commerce hub of the country. On Snapdeal’s plans for Gurgaon region, Mr. Kunal Bahl, Co-Founder and CEO, commented that ‘e-commerce is a budding industry and requires young and dynamic professionals to drive it’. Mr. Bahl confirmed that this campus will house about 5,000 sharp minds from across the nation. With the establishment of this Gurgaon campus, Snapdeal, an avant-garde of digital commerce wants to create an environment of long-term sustainability and enterprise for the entire segment.